ASOJ, SHOW CONCERN ON THE ARREST OF UNIVERSAL TV CREW BY THE TFG. 09/04/2004 Mogadishu Report Associated Somali Journalists are very concerned the arrest of Universal Television crew Sunday in Mogagishu by Somali Interim Government officials. We Associated Somali Journalists , are very concerned about the verdict and the arrest of three Somaliland journalist who are belong to Hatuf Daily newspaper issued in Hargeisa. Largest Journalism institute in Mogadishu. ASOJ OPENS TRAINING FOR SOMALILAND JOURNALISTS. Three trainers from ASOJ, led by the general coordinator of the Union Mrs Yasmin Mayow today began 7 days journalism training in Hargeisa, the capital city of the republic of Somaliland. Associated Somali Journalists sends its concern on arrest of Somali Journalists by the Federal Government. ASOJ is very concerned the safety of Somali Journalists arrested in Banda by The Federal Interim government based in Banda after they had returned the assessment journey in Burhakaba covering the situation there after tensions aroused. 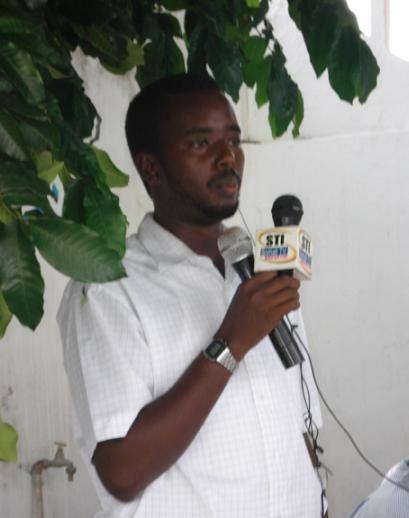 ASOJ sets special committee over the killing of the western journalist in Somalia capital. Associated Somali journalists (ASOJ) has declared on Saturday that it set a special board for the investigation and tracking down those who were behind the killing of the Swedish journalist who was yesterday shot dead in Tarabunka square in south of Mogadishu.